This video will discuss what happens after you receive an IRS notice. The IRS sends taxpayers millions of notices per year. Whenever you receive correspondence from the IRS, you should read it carefully and attempt to understand what the IRS is trying to communicate to you. 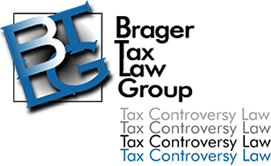 This can be difficult because some notices are unclear to those who are not familiar with the tax laws or IRS procedures. IRS notices can be informational, such as when you are notified that your tax return is going to be adjusted. However, you may still disagree with this notice, and you can attempt to take action to dispute any mistakes by the IRS. Other notices will warn you that the IRS is about to take a specific action. This could be a Notice of Intent to Levy, which means that the IRS is about to seize some of your assets, including the funds in your bank account or a state tax refund. Another common notice is the Notice of Deficiency, which notifies you that the IRS is planning to assess a tax liability against you, and gives you one last chance to dispute the amount in Tax Court before the IRS enforcement machinery starts up. Once you receive a notice, you have a limited time to respond or notify the IRS that you disagree with their action. If the IRS is going to move forward with a tax assessment, wage garnishment, or other action, they will do so based on specific timelines they have set for each situation. For example, when you receive a notice that your bank account is being levied, the IRS will wait 21 days before completing the levy, in most cases. However, you should have already received several notices prior to this, including a Collection Due Process notice, which has its own 30-day waiting period. The difficulty to taxpayers when trying to figure out how to respond to a notice is that even if they understand what the deadline to take action is, they may not know exactly what they are supposed to do, and they may be unaware if they have any arguments to dispute the actions being taken by the IRS. By failing to dispute an action in a timely fashion, you can lose valuable rights. For example, if you don't respond to an IRS 90-day letter aka a Notice of Deficiency in time and file a petition in Tax Court, you still have the right to dispute the tax, but only if you pay the full amount and request a refund. This could mean parting with hundreds of thousands of dollars or more while your case is being processed. If you receive an IRS notice, read it immediately and try to figure out what it's telling you. If you have any questions or any reason to disagree with what the IRS is doing, give us a call well before your deadline to respond expires.